Faisal Bhabha is an Associate Professor at Osgoode Hall Law School in Toronto, Canada. He also serves as the Faculty Director of the Canadian Common Law LLM degree program. He has researched and published in the areas of constitutional law, multiculturalism, law and religion, disability rights, national security and access to justice. He teaches constitutional law, human rights, legal ethics, and appellate advocacy. Previously, he sat as Vice-chair of the Human Rights Tribunal of Ontario (2008-2011). 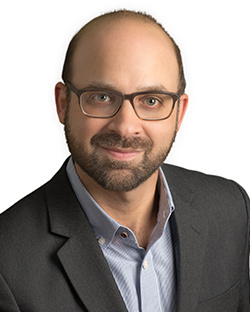 He maintains a varied public and private law practice, appearing before administrative boards and tribunals and at all levels of court, including the Supreme Court of Canada. He advises and represents a variety of individuals and public interest organizations in matters pertaining to constitutional law and human rights. He has appeared as an expert witness before Canadian parliamentary committees and served as a member of the Equity Advisory Group of the Law Society of Ontario. He has lived and worked in the Middle East and South Africa, and has lectured and taught in many countries. He is currently a senior editor with the International Review of Human Rights Law. Graduate Research Supervision (LLM, PhD): Professor Bhabha is open to a wide variety of projects in the substantive areas of constitutional law, international human rights, administrative law, legal theory, legal ethics or legal education. He is interested in working with deep thinkers and rigorous researchers. While he is not the right fit for research employing anything beyond elementary empirical methods, normative, descriptive, critical, doctrinal and discursive projects are all welcome.